T & S Hardwoods' leadership in the industry is solidified by the demonstration of proven silvicultural practices designed to maximize the growth of high quality hardwoods while maintaining and preserving the environmental and ecological integrity of our natural resources. All of the timber logged by T & S Hardwoods' sawmills is harvested by trained Master Timber Harvesters who are educated in safety, proper timber harvesting procedures, environmental sensitivity and Best Management Practices. The forestry staff of T & S Hardwoods works closely with the Master Timber Harvesters to assure the continued updating of training and education. The T & S Hardwoods Procurement and Land Management team is committed to providing our mills with the highest quality raw materials available without compromising the ability of future generations to meet their needs. Our policy of sustainable forestry practices and sound conservation principles guides us in every facet of our operation. Meet the needs of the present without compromising the ability of future generations to use the forest for products as well as for ecological and other uses. Promote both environmentally and economically responsible practices of AF&PA members' and all other forestlands. Improve long-term forest health and productivity by protecting forest against wildfire, pests and disease. Manage forests of biological, geological, or historical significance to protect their special qualities. Continuously improve forest management and regularly track progress toward achieving the goal of sustainable forestry. We also participate in National Forest Planning programs to promote the wise use of public lands and encourage private timber and landowners, who have our full support and assistance, to establish and maintain sound forest management goals. T & S Hardwoods is a member of the North Carolina State University Hardwood Research Cooperative Program. The purpose of the organization is to seek and explore innovative hardwood management research techniques that go beyond the efforts of other universities and governmental programs. 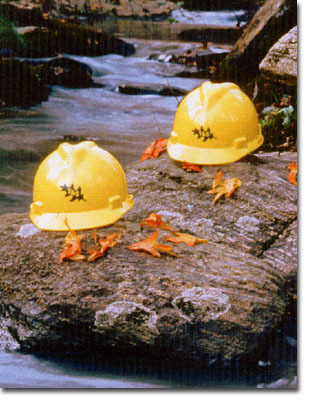 Responsible Management practices have led T & S to the present and will continue to lead the company into the future. The companys future depends on the yield of quality hardwood products from the forest reserves of the southeastern United States. T & S pledges to maintain a staff of highly trained and motivated foresters to assure the wise use of this valuable resource. In doing so, we will not only meet our obligation of stewardship, but also will remain a leader in the industry.